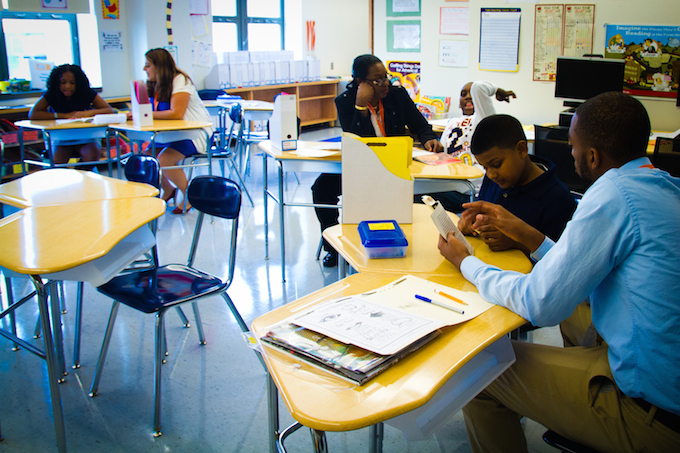 Reading Partners works with under-resourced schools in geographic centers around the country. Our one-on-one tutoring model is proven to raise students’ reading proficiency. To qualify for our direct service, a majority of the students enrolled at the school must qualify for free/reduced lunch. Working with school leaders, Reading Partners transforms a classroom into a reading center, complete with a library and teaching tools managed by a full-time staff or AmeriCorps member. Reading Partners collaborates with teachers to identify students reading one month or more behind grade level, and provides them with individualized literacy instruction. 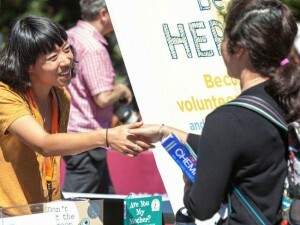 Reading Partners recruits and trains community volunteers to provide weekly one-on-one literacy tutoring using its evidence-based curriculum, a series of structured lesson plans that progress from phonics instructions for younger students to higher-order comprehension strategies for older students. 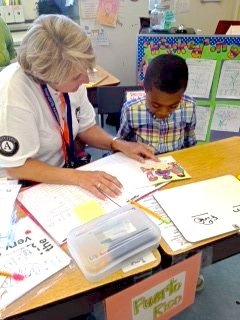 If you think your local school would benefit from the Reading Partners program, please request our program. FERPA Compliance: In an effort to secure the privacy of our students, Reading Partners program is in full compliance with all tenets of the Family Educational Rights and Privacy Act (FERPA). Reading Partners works with individuals, companies, and organizations that care about early education in their community. These community partners help provide volunteers, funding, and services to our local programs, allowing Reading Partners to serve more schools and students. Our community partners extend our impact to the broader community, expanding our network of supporters and reading advocates. Reading Partners has been a proud member of the Corporation for National and Community Service network since 2010. Reading Partners utilizes AmeriCorps State and National, VISTA, NCCC and SIF partnerships, giving us the resources needed to succeed. 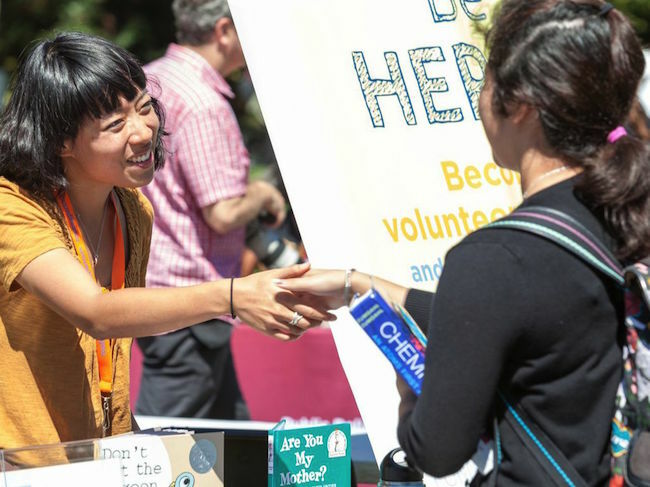 In 2010, Reading Partners recruited 33 AmeriCorps members in California, and since then has expanded across the country, engaging hundreds of AmeriCorps members serving thousands of children each year. AmeriCorps engages more than 75,000 Americans in intensive service each year at nonprofits, schools, public agencies, and community and faith-based groups across the country. Reading Partners is proud to be a part of this network and looks forward to continuing our partnership with CNCS. Reading Partners is grateful to the individuals and organizations who share our commitment to raising reading achievement. See a full list of our supporters.